Pumpkin Spice Cauliflower Mug Cake from Extra Crispy. I know this cake may sound crazy, but I trust Kat Kinsman. She makes this Pumpkin Spice cake in her Instant Pot. A slow cooker is another kitchen appliance used to make cakes. 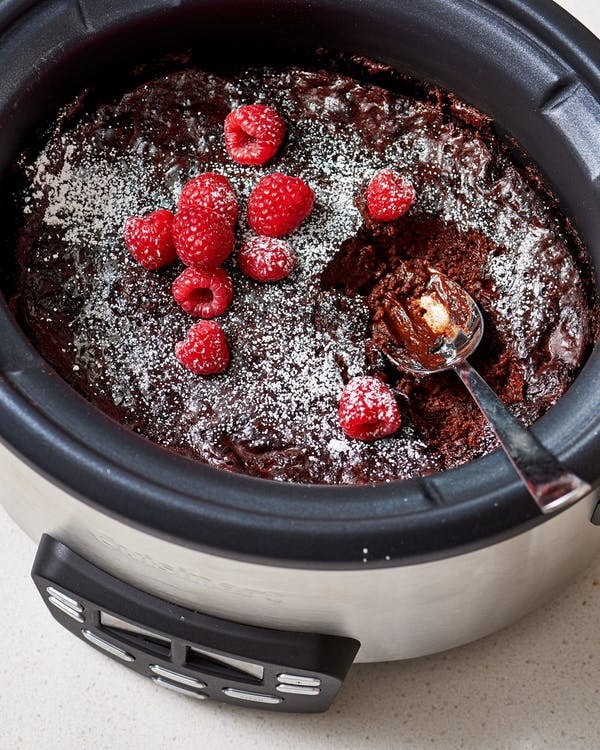 Check out this recipe for slow cooker chocolate lava cake. Dark Chocolate Cake Recipe from Jamie's Feast. I think the secret ingredient in this chocolate cake recipe is lemon juice. Pumpple Cake is known as the "dessert equivalent of a turducken". I had a slice of a Pumpple Cake at a birthday party for Keavy Landreth of Butter & Scotch years ago. It's a cake adventure with two different flavor pies inside a cake. It's definitely a project for bakers.